ove that sweet summertime taste of orange and vanilla? These mouthwatering Orange Creamsicle Recipes are just what you’re craving! My oldest son, Lincoln recently discovered his love for Creamsicles. I am not sure why he’s never had one before, but now he just cannot get enough! On a whim, I purchased him an Orange Creamsicle (or Dreamsicle) milkshake at one of my favorite local coffee shops. Now he asks me for one whenever we stop by! His love for this tasty treat inspired this post! 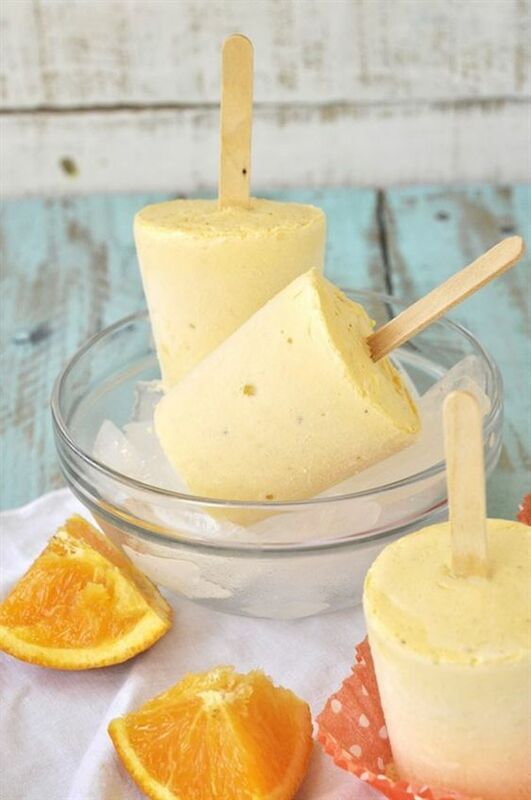 I’ve rounded up the yummiest, most refreshing Orange Creamsicle Recipes on Pinterest. I hope you enjoy them all, and the go grab yourself one of these sweet treats! CREAMSICLE SWEET TREATS YOU’LL LOVE! OH. MY. YUM. With so many different Creamsicle Recipes to choose from, I’m not sure which one we should test out first! Ice cream is ALWAYS my favorite, so that might win my vote. I will have to go over this list with my kids to get their opinions on these tasty sweet treats!